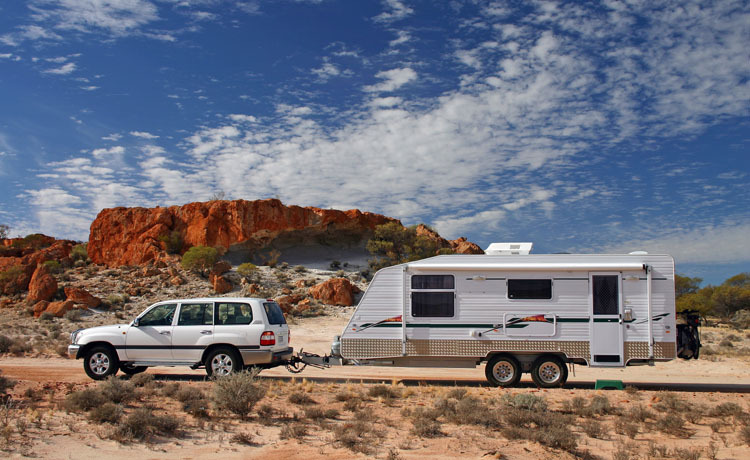 RV Camping: The acronym RV in North American English, stands for ‘recreational vehicle’ and is generally used to refer to an enclosed piece of equipment dually used as either a vehicle, a temporary travel home or a full time home. 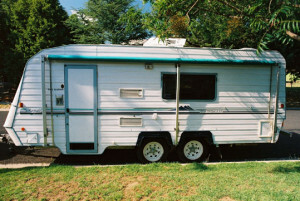 The term appears also to be broadly used for camper vans, caravans, and motor homes, and RV camping in general. In total I have spent about three years of my life living in caravans. Some of these certainly couldn’t qualify for the term recreational vehicle! My father and I in the late 70s lived ‘out of’ the caravan below, whilst drilling for minerals in the remote Lake Grace area of Western Australia. It it is far better to cool off in the ambient forty degree heat, than sit inside a fiberglass box with temps in excess of fifty odd degrees. However, winter mornings in inland Australia can be quite frosty occasions, and the scant shelter is welcomed. With this experience, and when it came to purchasing something to do some real RV camping, I spent a great deal of time shopping around. Although I really wanted a true ‘off road’ caravan, they were simply out of my league price-wise. The Bushtracker and Phoenix custom built vans are in excess of $100,000, and whilst they have proven off road capability, they were simply too expensive. After looking at a number of caravans, I settled on a 20 foot Windsor Statesman Royale, with an Outback Pack. It was not a true off-roader, but the had a hot dipped galvanized 6inch chassis, beefed up draw bar and suspension, dual axle 15 inch wheels and fully galvanised, enclosed wheel arches. The interior of the van was practical, with a very workable kitchen and the main entrance was up the front of the van. I prefer forward entrances as these tend to let less dust into the van than rear doors when on dusty dirt roads. At the rear of the van and to the delight of my wife was a small ‘green room’, with toilet and shower, vanity basin, mirror and wardrobes. Lighting and electrics were dual 240v and 12v and I fitted two 80 watt solar panels on the roof, with a deep cycle battery. We spent a little over 12 months on the road, travelling from the East of NSW via the Plenty Highway to Alice Springs and Uluru. It was a very real privilege to spend so much time touring around, including a 12 week stop-over in Winton, Queensland where I got to practice a bit of archaeology. The intention was to take the Great Central Highway through to Perth in Western Australia. However, on this occasion our intentions were thwarted by heavy rains, so we dropped south across the sealed Nullabor. On returning East we were able to travel across the heart of the Centre, on the Great Central Highway. Along the way, we stopped off at Yamarna, the now abandoned sheep and cattle station I had grown up on up. 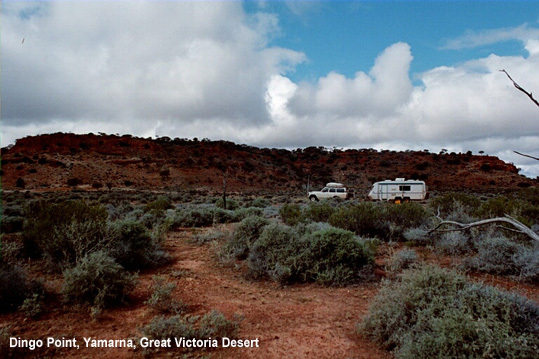 Taking a caravan on long stretches of outback dirt roads means paying constant attention to weather and road conditions, and if you want to keep your van in one piece, drive slowly! At the end of each day, check over you vehicle and van, keeping a close eye on tyres, suspension, and dust entry points. 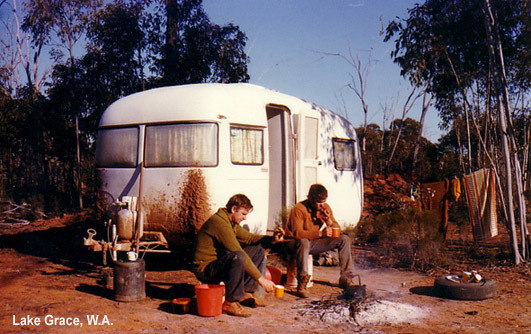 RV camping is the deluxe mode of self contained travelling.